We Love This DFW Event. Find Details on This DC Comics Night! Allen Americans vs Cincinnati Cyclones. Friday, December 21, 2018 at 7:05 PM – 10:05 PM @ Allen Americans 200 E Stacy Rd #1350, Allen, Texas 75002. We are your DC Comic and Superhero or Super villain Headquarters. 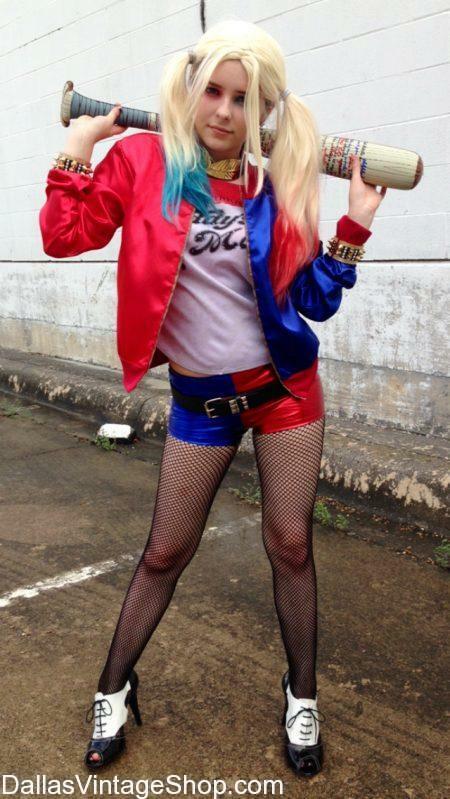 This Harley Quinn Costume is just one of several versions we have in stock, all year round. We have what you need to create any Character.